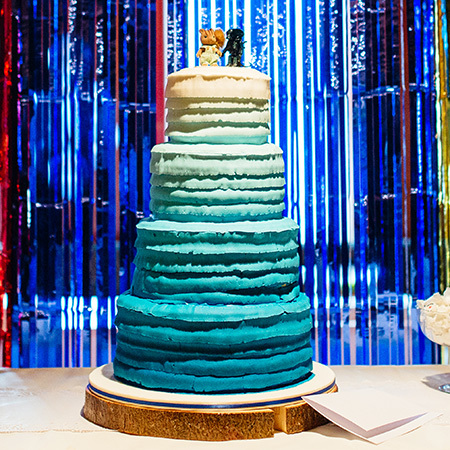 This blue ombré ruffle cake is perfect for a rustic wedding adding a touch of vibrance. Decorated with tasty buttercream and available in a number of different colours to match your wedding theme. Toffee sponge with salted caramel buttercream, vanilla sponge with vanilla buttercream and chocolate sponge with chocolate ganache a selection of different sponges to alight your taste buds.